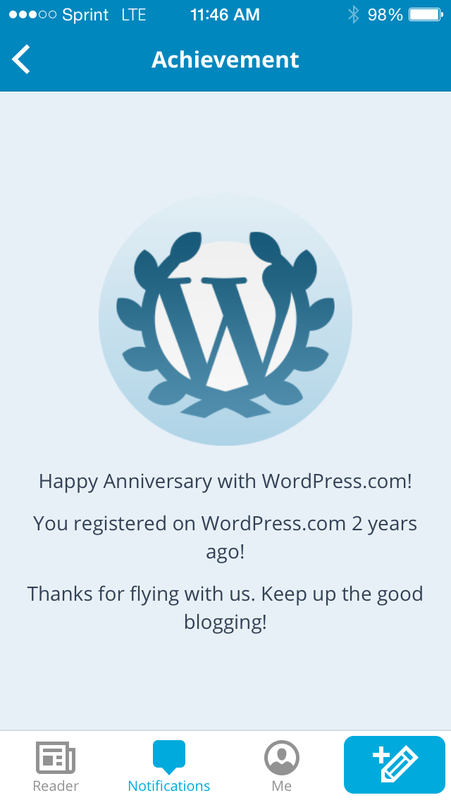 The craziest thing happened yesterday I got a notification on the WordPress app that my blog has now been up for 2 years. 2 years! From a guy that thought he had nothing to say. It has been quite the ride, a lot has happened in the last 2 years, I have changed a lot & this, my little piece of the internet has been a big part of it. When I started writing here I was coming into a season of awakening. I had gone through a lot of healing in the years leading up to this season and it was now a time to learn what exactly it meant to be me. Through poetry, essays, music & rambling processing my thoughts, emotions & imagination has been wonderfully enjoyable & thraputic. 2 years on, I have healed even more, I’m an ever changing & evolving being. The thing that I most enjoy about today though is I am simply me. I no longer feel a need to try to fit in or pretend I am something other than who I am, I am me, faults & all. One of the challenges at the moment of living in this new place is simply getting used to it. I no longer feel the lingering, lurking threat of depression wanting to return. I no longer expect something to go wrong at any time, I no longer have this underlying anger waiting to surface. I am good, I am loving living life, I am content (in a good way), I am happy. The funny thing is that nothing much has changed externally, yet internally everything has changed, call it a miracle if you like, I am & will always be grateful to Jesus Christ for what He has done in me & where He has brought me to personally. Unhiddenlight will continue, rest assured (I’m sure you were all worried & stuff) I would imagine it will be much more like year 2 than year 1 though. There will be seasons of much content when I am creatively inspired & lulls when I am not so inspired, or simply too busy. One of the most enjoyable things I have been able to do in recent memory is coach my daughters soccer team in the fall. Unfortunately that took a lot of time & energy which resulted in a fall off here. Add to that I started playing soccer again in addition to my other extra-curricular activities & my writing has taken a back seat. I probably need to make a commitment to some kind of writing schedule. Not that writing here is mandatory, yet my life & my mind seem to work better when I am exercising my thoughts for something other than work & sports. So lets call that a note to self, plan to write! Another good thing (to me at least) is that I recently rediscovered the joy of gaming. I have spent an inordinate amount of time playing Destiny (as expected), I have reconnected with some long time gaming friends though it & made some fun new friends too. One of my favorite hobbies, my “me time” has become truly enjoyable again, it has gone from stale to completely fresh. Instead of something I was just doing to chat with a few friends it has been a nightly event of fun & laughter, the way it should be. One of my hopes when I first started my blog was that I might start song writing again, that has happened, I penned several songs this last year, some good, some just good practice. Getting around to recording & sharing them is unfortunately once again going painfully slowly. The down / up side of it being a hobby is that I only do it when I am really in the mood. I’m often in the mood to make music, not so much to record it & deal with all the intricacies of making it work as well as possible. So here we are, my first “real” post in a while, not that my poetry does not count, but you know what I mean, 2 years in, 348 posts, 414 WordPress followers – thank you so much for all your support & for your friendship! I truly appreciate every single one of you!!! Congrats on your 2nd blog-aversary 🙂 I always look forward to reading your posts and your poetry! Many blessings to you as you continue to share what He lays on your heart!! Thank you! Blessings to you & your family!